Paro is a small town on the west of capital Thimpu in Bhutan. It hosts of various sacred places that is frequented by the tourists. The town is located 6 km away from the international airport and there are various direct flights that connect Paro to New Delhi,Guwahati,Kolkata airport. The flight to Paro is most spectacular as it covers the entire Himalayan region. The journey offers fascinating views of Paro valley. There is no visa policy for the Indian citizens. Local transport is available here. 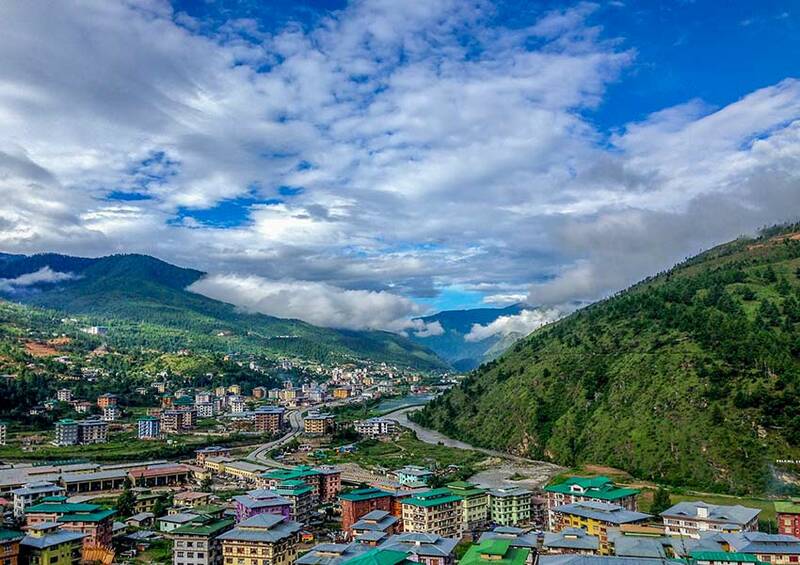 There are several places for sightseeing destinations at Paro . The valley is well known for its beautiful sites and boasts of widely spread rice fields. From here one can visit Drukgyel Dzong, the monastery which is in ruins right now. This was constructed during the year 1644-1649 and symbolizes the victory of Bhutan over Tibetan-Mongol armies. From there, you can go to Dzong Museum which is also called national museum of Bhutan. Memorial Chorten– The place is also known as Thimpu chorten and was built in honor of third king of Bhutan,His majesty Jigme Dorji Wangchuk popularly known as the father of modern Bhutan. Budha Point (kuenselPhodrang)- the point prides of having the largest Buddha statue which is around 51meters made of Bronze and is enveloped with gold. Parotaktsang (Tigers Nest): It is also known as Taksang Phaphug monastery and is considered as the famous Himalayan Buddhist sacred sight. Located in upper cliffside of Paro Valley, the temple complex was built in 1692 named as Gu-ru mTshan-brgyad Lhakhang. Today Taktsang is known for thirteen Tiger Lair caves where guru mediated. It has become now as cultural icon of Bhutan. The monastery building consists of four main temples designed by adapting to the rock (granite) ledges. Other structures are Taktsang Zangdo Pari a place wife of Padmasmbhavana was old nun. Dzong Drakha Temple: The temple area is extremely peaceful and offers a stunning view of city.There is a strict dress code that needs to be followed for example, one has to cover head and bare legs to be inside the temple. It boasts of marvellous architecture and intricate craftsmanship. Rinpung Dzong : The monastery was initially built in 17th century but later was used for defense place. It is a must see destination in Paro.The old fortress has now been converted into government offices and part of it, is monastery. Here, one can see the traditional Bhutanese woodwork at its best. Chele La Pass : It is a trekking paradise is beautiful in itself. The breathtaking slopes provide ample of views to the city and large peaks of the mountains.You can view the world’s highest mountain and Himalayas from here. 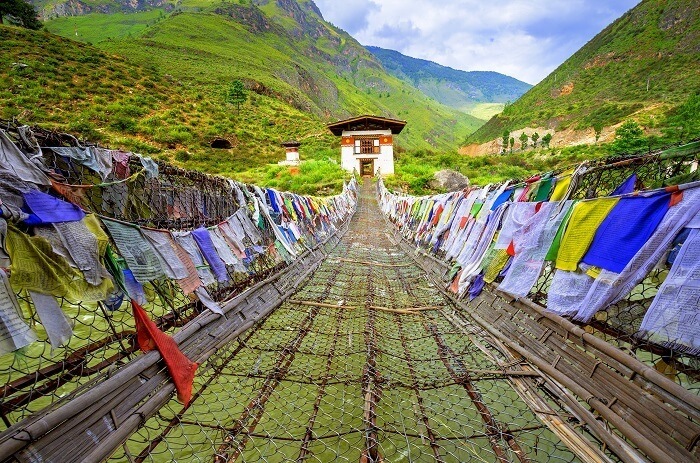 Kyichu Lhakang: This is a 7th century structure that offers scenic views and is worth visiting. Jangtsa Dumtseg Lhakhang : This is a beautiful monastery located in Paro, Bhutan and offers great view. Among other places Dasho Nishiokan Chorten, Ugyen pema woedling Zangthopelri and Druk Choeding Phajoding Monastery,Thimpu zong are the others places that needs to be visited.